I am the captain of my blur. What time is it again? 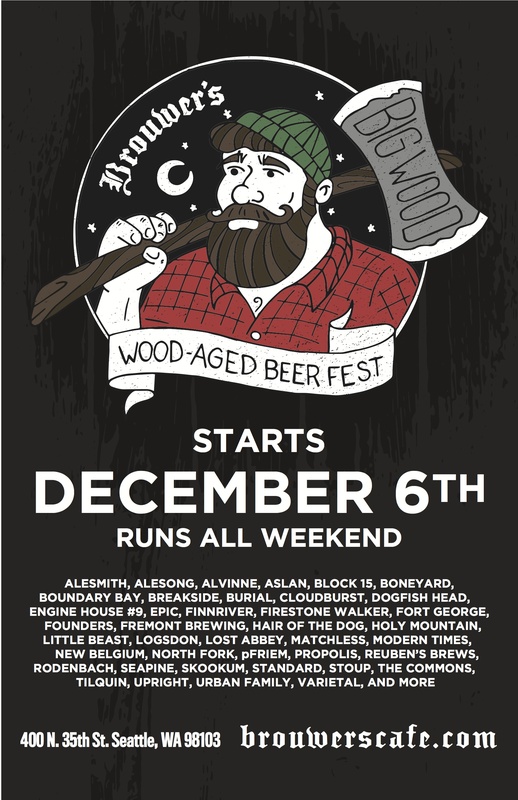 You guessed it – Big Wood time; our time to celebrate all beers (and ciders) barrel-aged. Not barrel-aged? Not interested. That’s right, 50+ taps of beers that have been aged in barrels. Oh, you threw some beechwood staves into your tanks? Get out here with that nonsense. We are talking real time, in real barrels. This is one of the events we put on that certainly isn’t to be missed. On December 6th – 9th, we will once again dive deep into the bowels of the cellar and pull all sorts of vintage goods for your palate from sour to sweet and everything in between. Join us that weekend for one of the biggest barrel-aged beer festivals in the city. Big Wood is good.